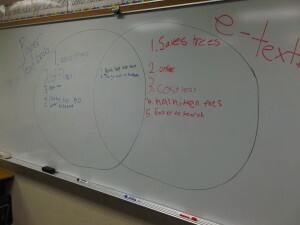 First period (morning group) had a wonderful dialogue/ discussion/ debate today. In our issue of Scholastic News, we read an article about digital textbooks. 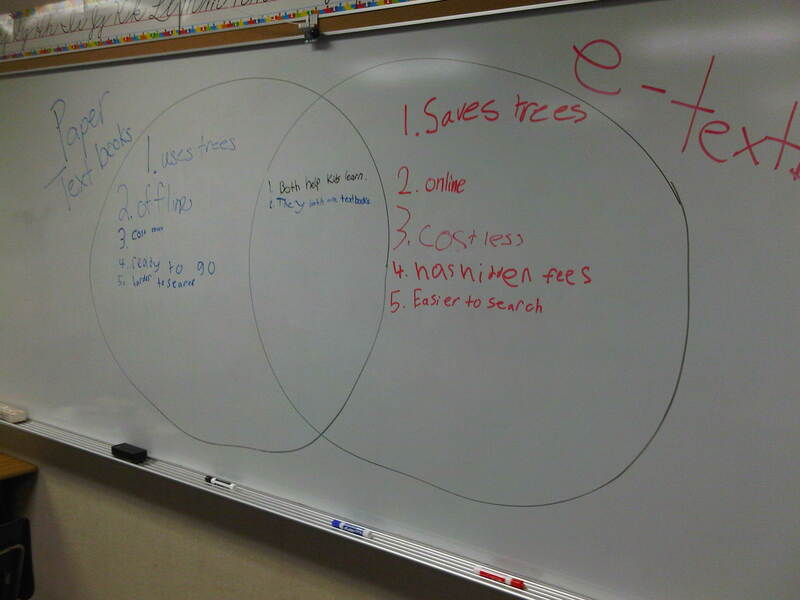 The students worked with partners on a venn diagram to compare and contrast traditional paper textbooks versus electronic textbooks. We then collaborated to make a group diagram on the whiteboard. Things went back and forth for a good fifteen minutes. It could have gone for much longer, as many students were begging me to let them keep discussing! Most of us agreed that digital textbooks on an iPad would be a very welcomed learning tool. So, who wants to write a grant?